Total Connect Cameras are security cameras designed exclusively for use with the Total Connect 2.0 service. Total Connect 2.0 is operated by Honeywell's AlarmNet division, and it is only used with Honeywell Security Panels. A user can access the TC2 service at any time to view the cameras. 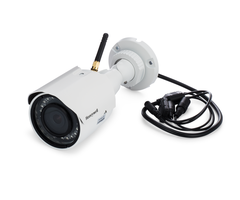 Security cameras represent a popular addition to many security systems. These devices are truly the best way to know exactly what is going on inside your home or business while you are away. If you have a Honeywell Alarm System, then you will most likely be using Total Connect Security Cameras. That way, you can integrate your entire alarm system network into the Total Connect 2.0 Platform. Keep in mind that Total Connect Cameras are IP cameras. Most integrate with the TC2 Servers through a WIFI connection. As a result, you will usually need to have WIFI in the building to support your Total Connect Cameras. But some of the older models also support hardwired ethernet connections. Either way, you will definitely need internet to use any Total Connect Cameras. No Total Connect Cameras can use cellular communication. There are two main types of Total Connect Cameras. These are the newer HD cameras and the older legacy cameras. Both types can be streamed from Total Connect 2.0 using a web browser or the Total Connect 2.0 Mobile App. But there are a couple of important distinctions between these cameras. Obviously, the newer HD cameras produce higher quality video. The HD lineup includes the WIC1, WIC2 and the WOC2. There is one other major distinction to be made. The older cameras can actually be live streamed on some of the wireless Honeywell Panels, including the Honeywell Lyric, Honeywell L7000 and Honeywell L5210. Honeywell surprisingly removed this feature for their newer HD cameras. 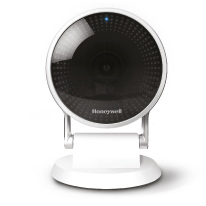 The only legacy camera still sold by Alarm Grid is the Honeywell IPCAM-PT2. However, if you find an older camera elsewhere, you can still activate it and use it. Also remember that you will need an alarm monitoring plan with video surveillance to use any Total Connect IP Cameras. For Alarm Grid customers, a Platinum-level Plan is required. After signing-up for monitoring, the alarm company will send the user the resources needed to create a Total Connect 2.0 account. The user can then login to their TC2 account through a web browser or the Total Connect 2.0 Mobile App to view the live stream of their cams. In addition to live streaming and look-ins, Total Connect Cameras can also be used to produce 10 second or 30 second video clips for viewing at a later date. 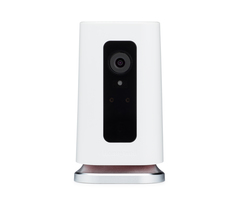 A TC2 camera will automatically produce a video clip when its integrated motion sensor detects motion. A user can also manually request a clip by accessing Total Connect 2.0. Any clip will be stored for either 7 or 30 days on the cloud, and it can be saved to a hard-drive for permanent use.